Image source: tradingcarddb.com. He was actually a right winger. Best-known for his 11 seasons (1980-1991) with the Philadelphia Flyers, Tim Kerr was a force to be reckoned with on the power play. In fact, as of this writing, Tim Kerr still holds the single-season record for power play goals: back in the ’85-’86 season he picked up 34. The only person to come REMOTELY close in recent history is Ilya Kovalchuk, who racked up 27 goals in the ’05-’06 season. To hold ANY record that long in modern professional sports is truly a commendable feat. ALL HAIL KING KERR, LONG MAY HE REIGN! 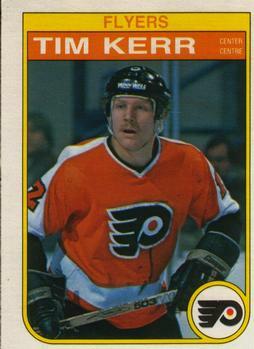 Despite being a lifelong Flyers fan, though, when I think of Tim Kerr, I don’t think of hockey. I think of VIDEO GAMES. TK’s – Avalon Boardwalk – Doris Zogas, 1993. Click the image to see more of Ms. Zogas’ awesome watercolors. 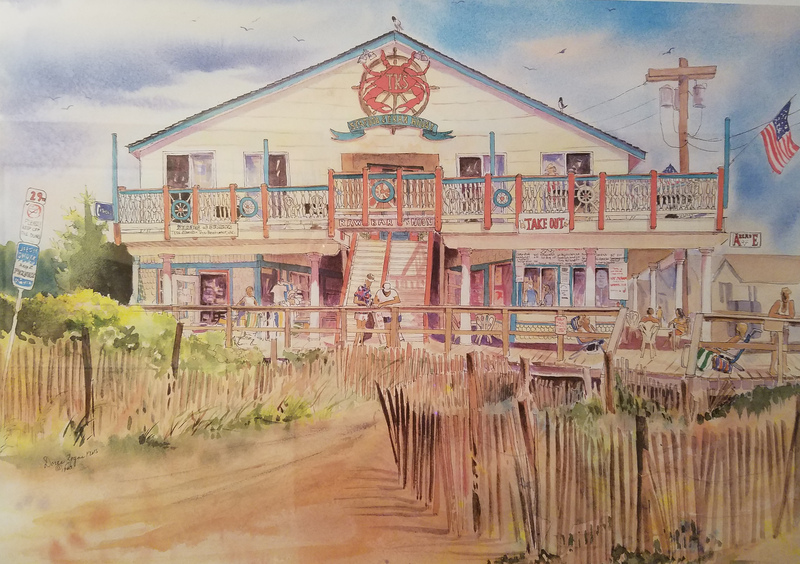 What you are looking at there is a lovely watercolor of TK’s Seafood and Crab House in Avalon, New Jersey. 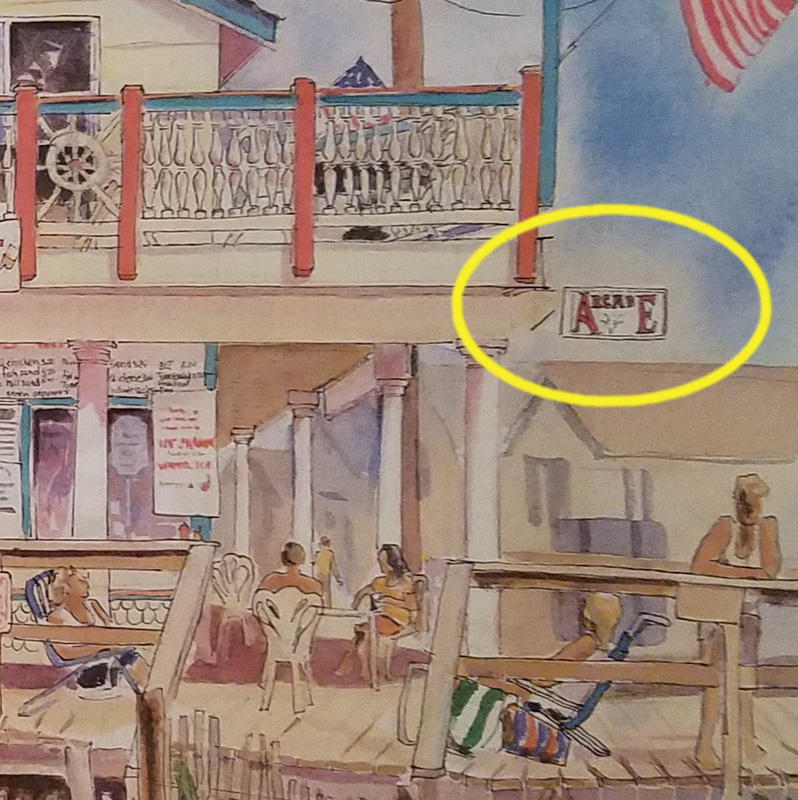 I would have loved to post an actual picture, but the place is gone – has been for over a decade now (though Tim Kerr still maintains a powerful presence in the Jersey Shore area). While TK’s was an excellent place get your crab on, that’s not why I look back on it fondly. That’s the good stuff right there! 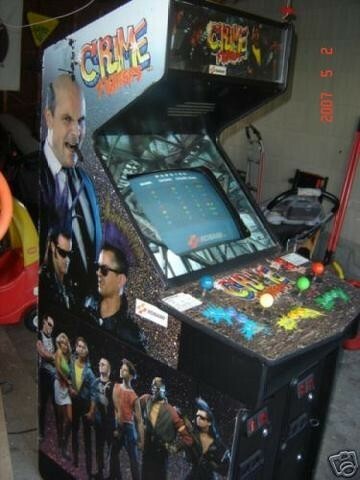 You see, Mr. Kerr had the good sense to shove an arcade in the basement of his restaurant. Why waste your money on sea food that your child’s unsophisticated palette won’t even come close to appreciating? Just send them to the basement for 45 minutes while you get sensibly hammered. Now that’s what I call power play parenting! I’m not sure if that arcade actually had a name, but it might as well have been called “here’s 20 bucks, try to be home by 10.” It’s where I spent many summer vacation nights as a kid, and it’s where some of my first memories of video games were formed. So, please, indulge me a bit as I wax nostalgic. Let’s quarter up and cruise down memory lane. Side bar: Until I was 12, I assumed most relationships began with some kind of abduction/rescue/vigilante justice scenario. 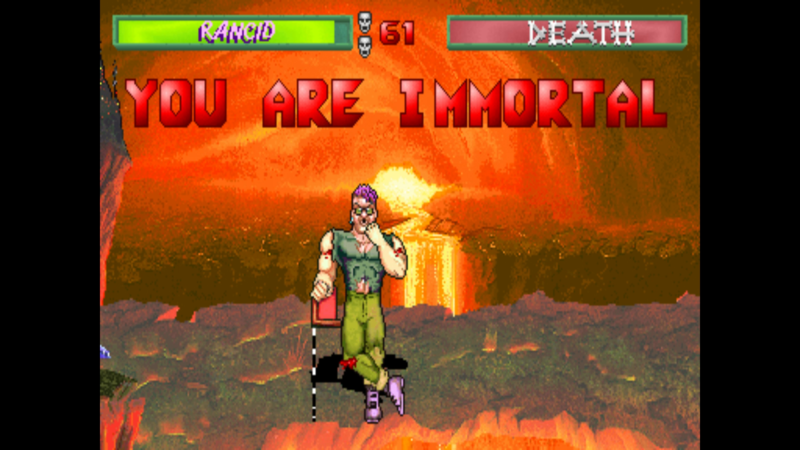 Thanks video games! Those are some high stakes there. 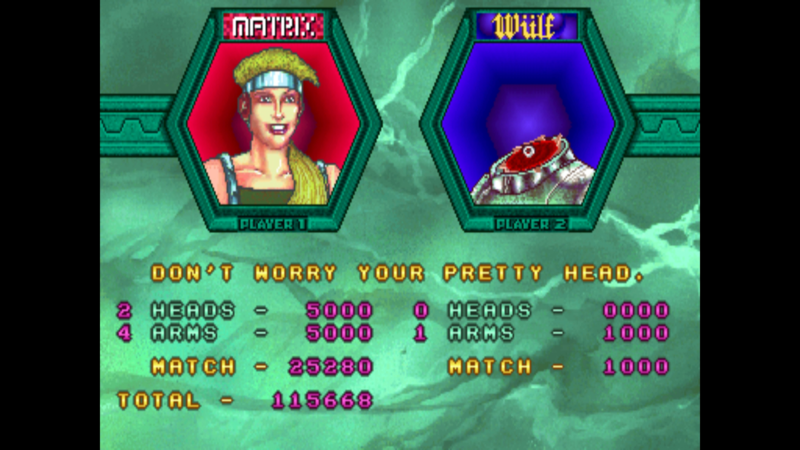 In most games, you just have to rescue one dude’s girlfriend. Crime Fighters isn’t messing around: its corpulent antagonist seems to have kidnapped ALL the ladies. At least 9, if we’re going by the number of Polaroids on the table. If that doesn’t get you motivated to go on a hot-blooded vigilante rampage, you or your parents probably voted for Dukakis. 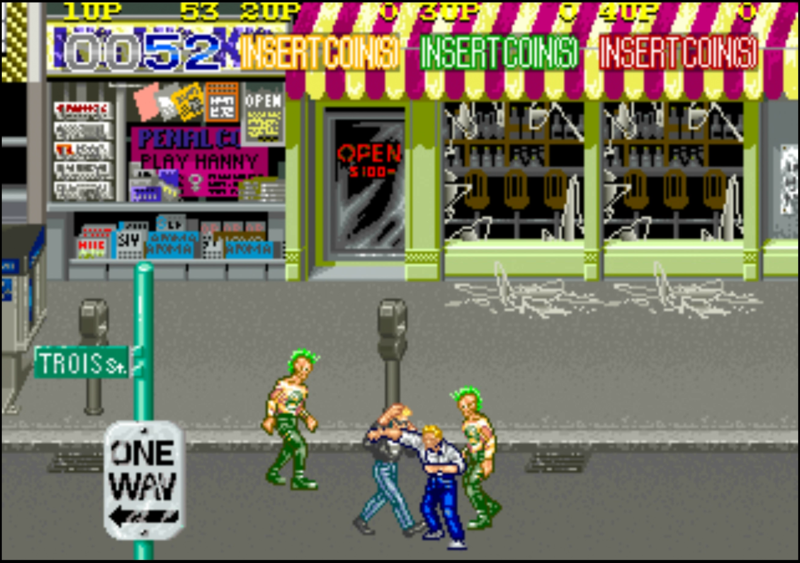 Crime Fighters definitely was not the first four-player arcade game; not by a long shot. But it IS the first four-player cabinet I remember seeing out there in the wild, and damn if it didn’t blow my 7-year-old mind. Just looking it takes me back to a simpler and more honest time; a time when the word “punk” meant “violent maniac with a switchblade,” and not “hipster with a mohawk.” It’s like the designers based their entire perception of urban crime in America off of Crocodile Dundee 2. And it’s great. 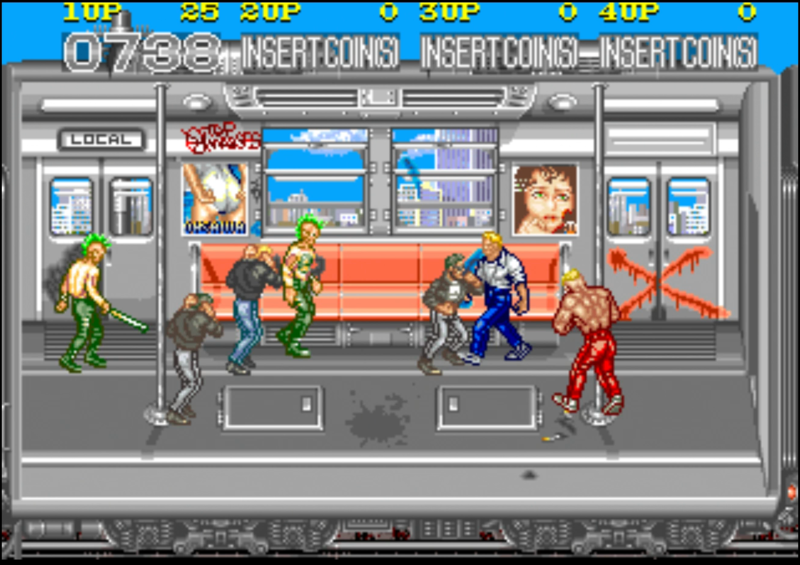 Accurate depiction of late ’80s subways. Only half joking. 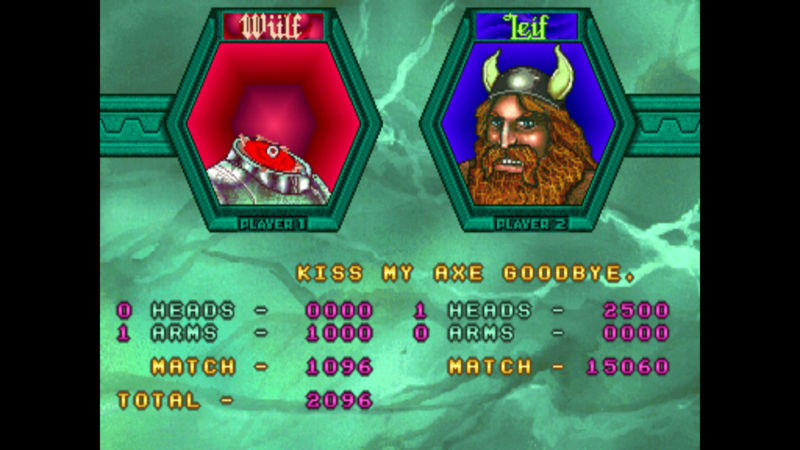 The four-player limit meant that I could team-up with my older brothers and cousins without getting in the way, and back then, that was more than enough for me. I was just happy to play with the big kids! And it’s a good thing I’ve held on to those memories… because Crime Fighters is just an absolutely terrible and brutally difficult game. 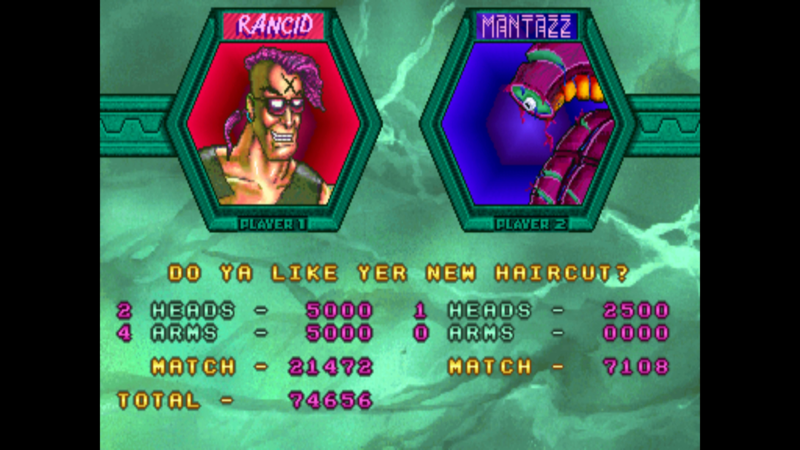 Please leave a comment if you know what “Hanny” is and whether or not it is worth playing . Aside from the thrill of teaming up with four buddies to clean up the streets, Crime Fighters has just about nothing else going for it. 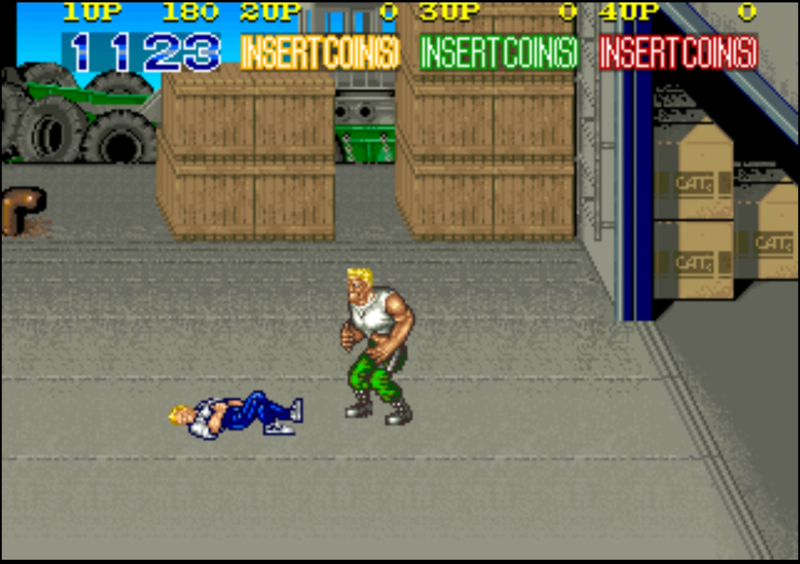 It has all the visual trappings of a great arcade beat-em up: legions of colorful enemies, a diverse arsenal of special weapons, and enough urban decay to start a Christian panic. 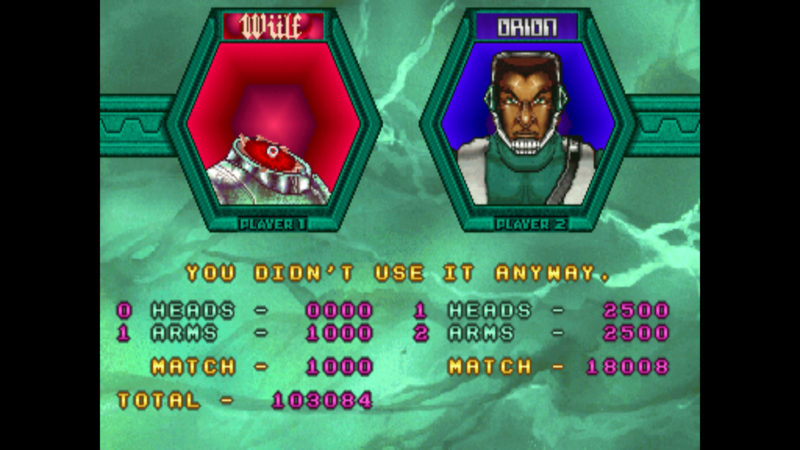 Unfortunately, there’s not much under the hood: hit detection is terrible, the AI has no qualms about sticking you in an endless hitstun, and you’re constantly over-matched and outgunned. 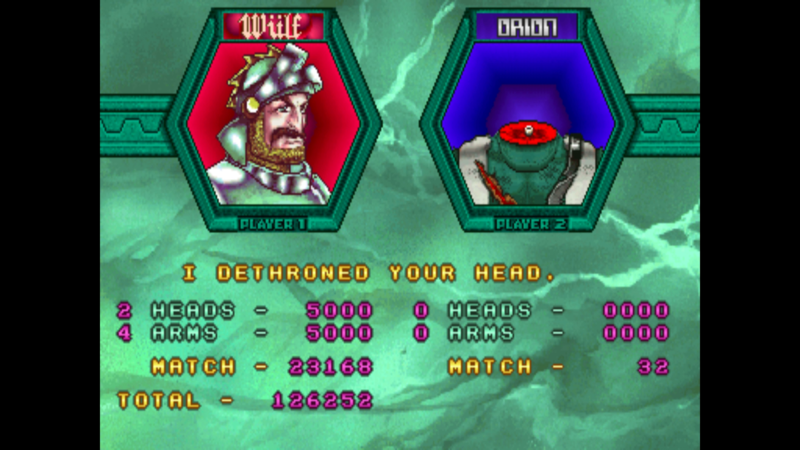 Playing with a full compliment of four players is, perhaps, the ONLY way to have fun with Crime Fighters. 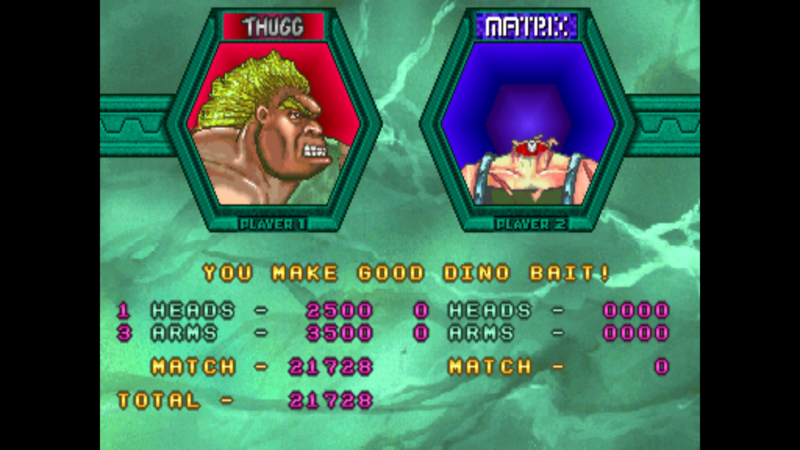 If you watched through to the end, you may have noticed that the good folks at Konami might have watched more than Crocodile Dundee 2 before coding this bad boy. 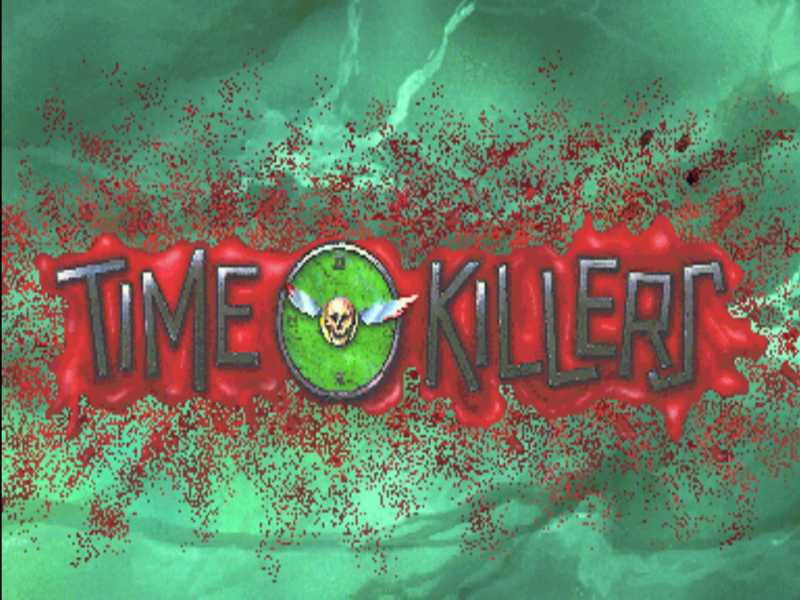 Crime Fighters is filled with all kinds of legally questionable inspiration! 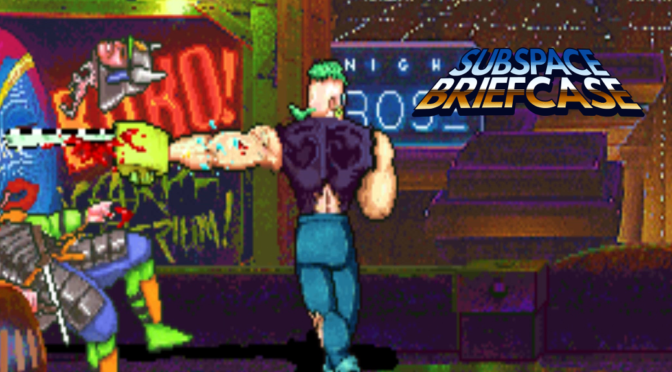 And, I would be completely remiss if I didn’t point out Crime Fighters’ most egregious sin – the way it shamelessly pits players against each other in a naked money grab! 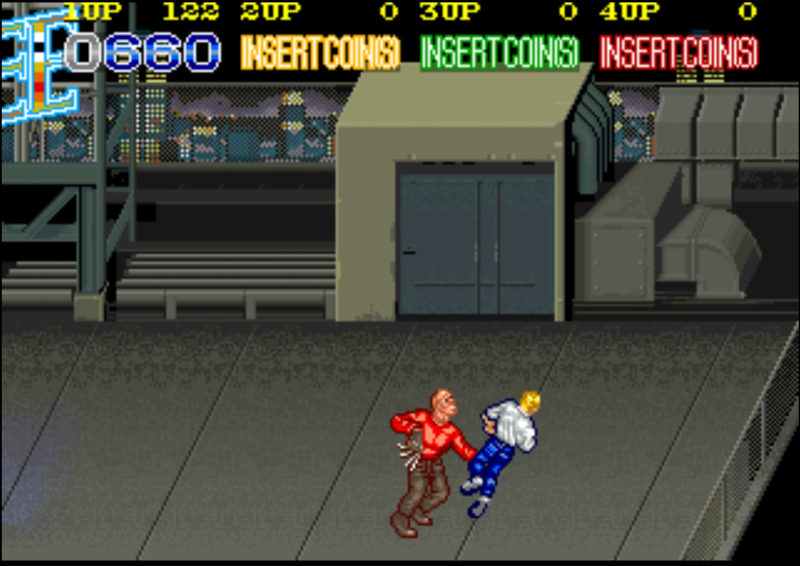 If at least two players are standing at the end of a stage, the game “rewards” you with the opportunity to beat one another up. So Crime Fighters is a terrible game. Despite its faults, though, I can’t help but look back on it with fondness. 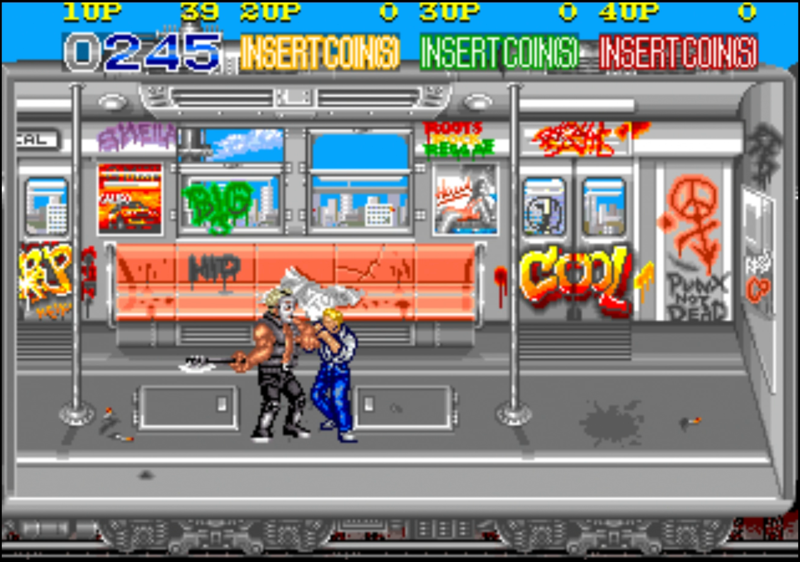 There was something magical about pulling up to that giant, colorful cabinet with your family and friends and beating up on punks until you ran out of cash. It was a spectacle, an event – it was hot trash, but even a dumpster fire can be fun to stare at with the right people by your side. 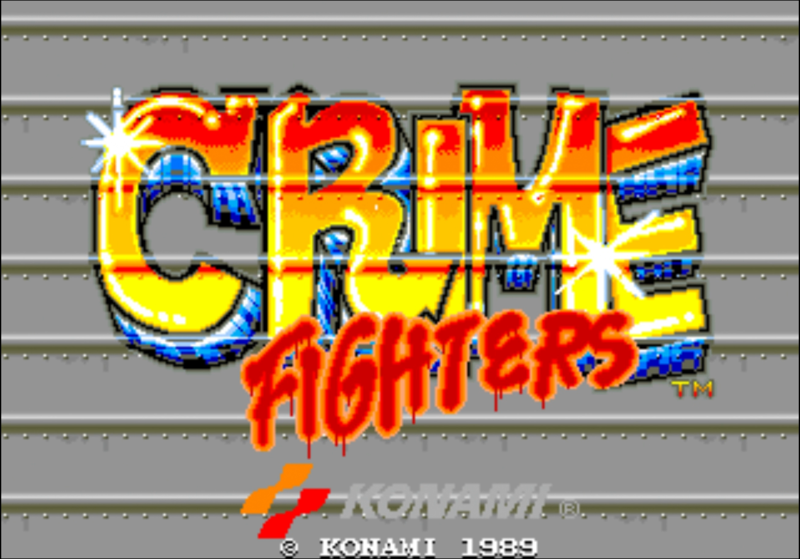 Crime Fighters had one great thing going for it: it was always more fun with friends.